Add Face Painting and a few inexpensive props to your party. The children will love it! Plan a Pirate Party. 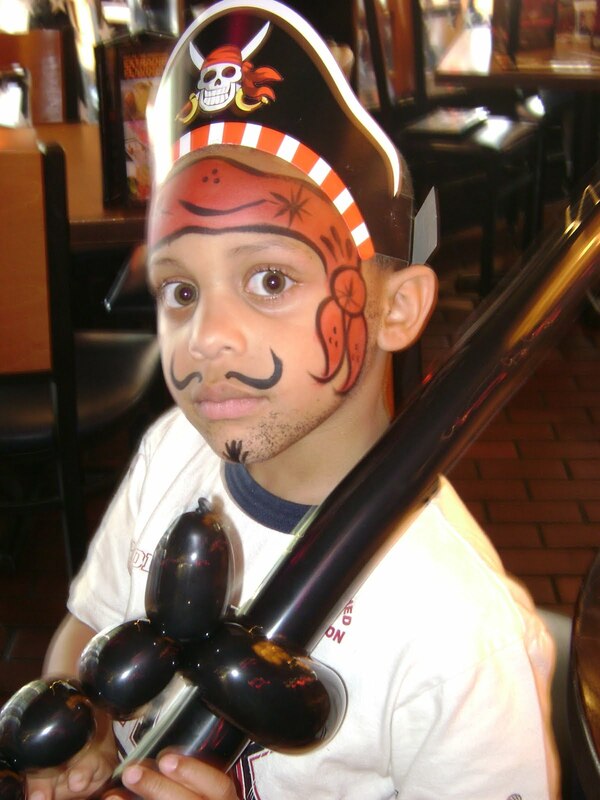 Add a pirate hat and a balloon sword to pirate face paint. The boys will have hours of enjoyment getting into character during and after the party. Girls like swords too! Let me know a few days before your party and I can have these available for the boys. Add a movie like “Pirates of the Caribbean” and you have a spectacular event. http://www.southernoutdoorcinema.com will give you all of the information and provide the correct screen for your outdoor evening backyard party or event.